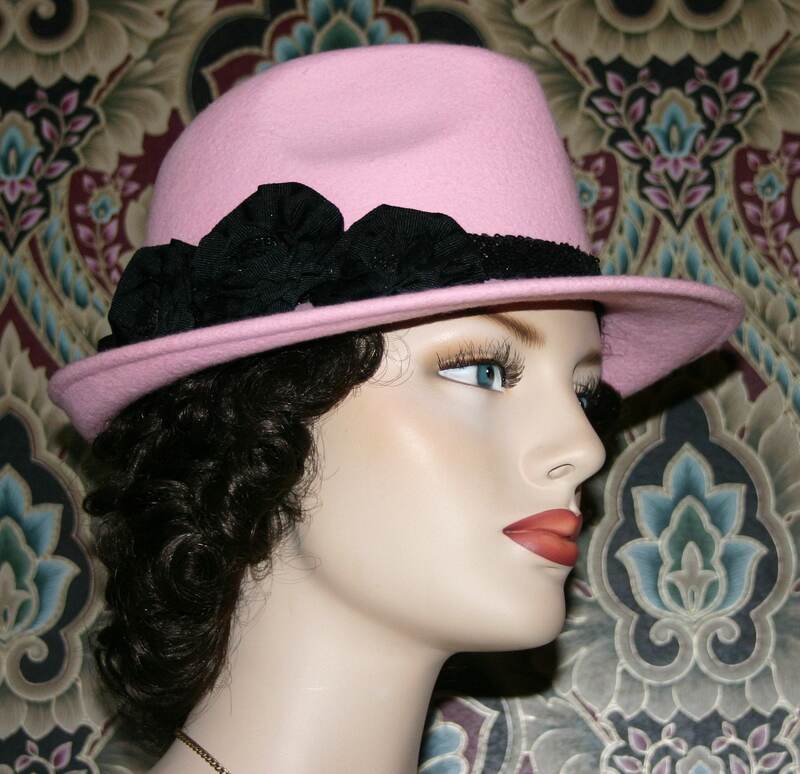 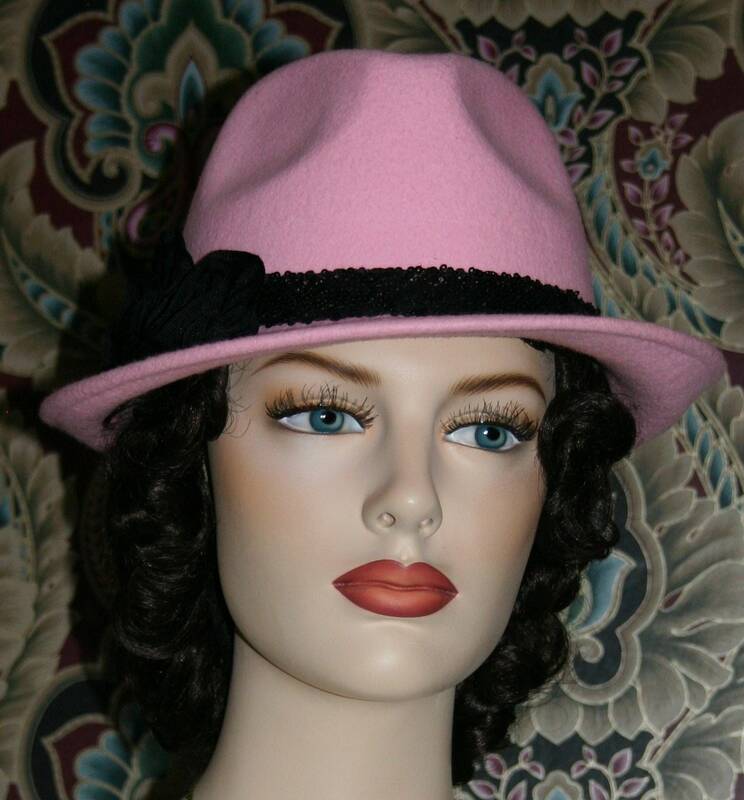 Isadora Fedora is a darling small brimmed Fedora hat, shown in pink. 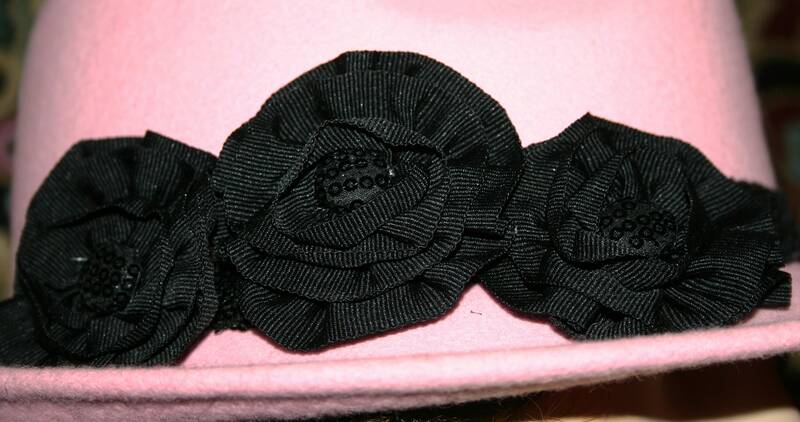 The hat band is black sequined and the rosettes are black grosgrain ribbon accented with a sequin button in the center of each rosette. 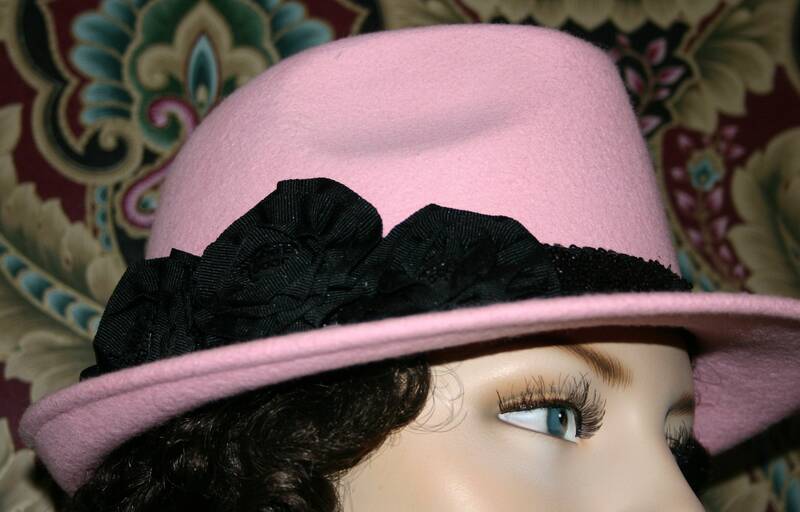 This hat size measures 22.25 inches ~ I can include a hat size reducer if you need to make it smaller. 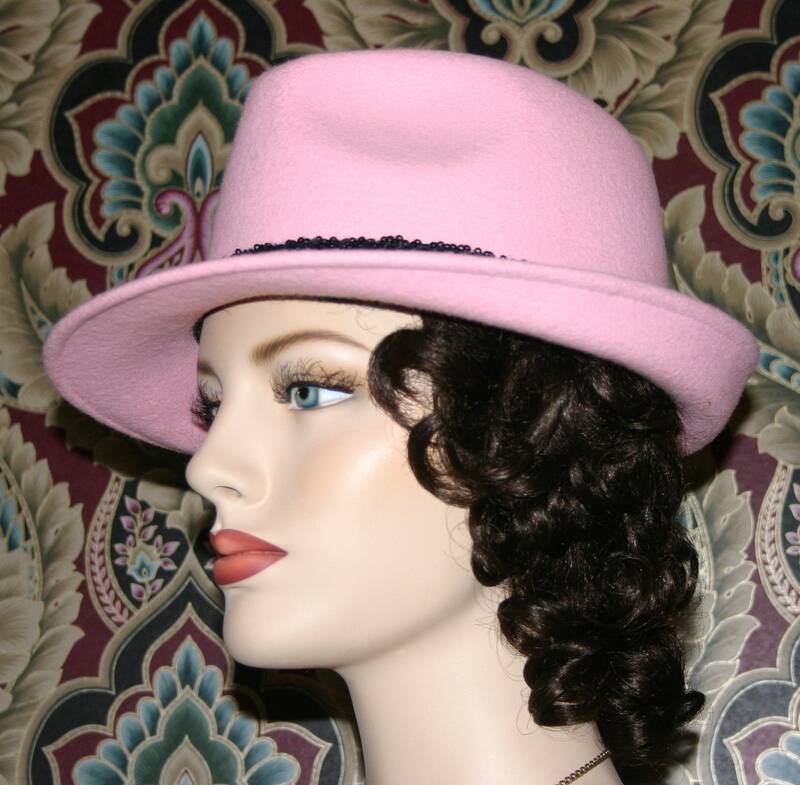 Please see instructions below on how to measure your head.